Note: The Ecommerce dashboard and People CRM are not currently supported on Squarespace. To start, you'll need to create a GoSquared account and then follow the instructions below to get started. After signing up to GoSquared, you'll be shown the Setup guide, select the Install Analytics on your site option. Next, sign into your Squarespace account. In the sidebar, go to Settings < Advanced. 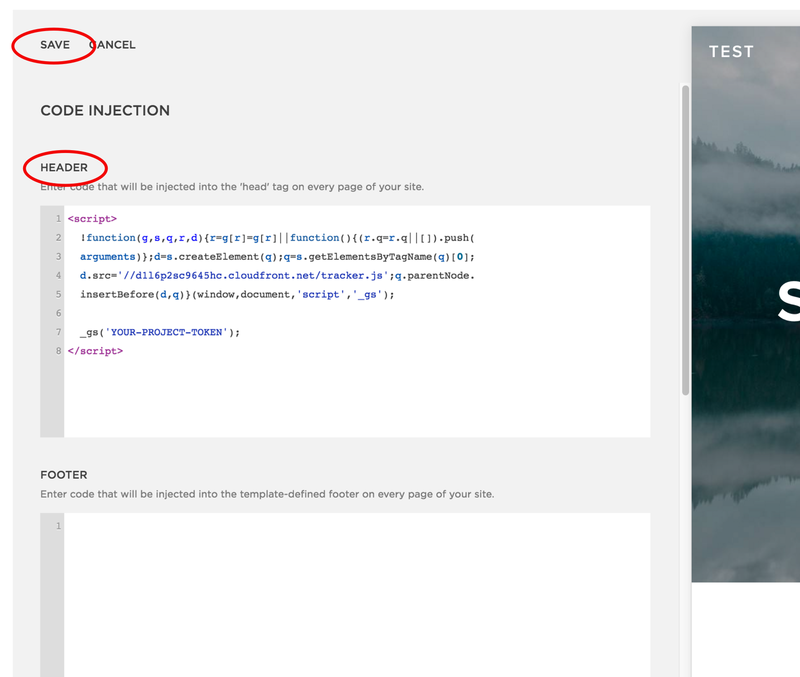 Select the Code Injection section and copy your GoSquared Tracking Code into the header section. Your GoSquared Tracking Code can be found on the Install Analytics page you selected in step one. 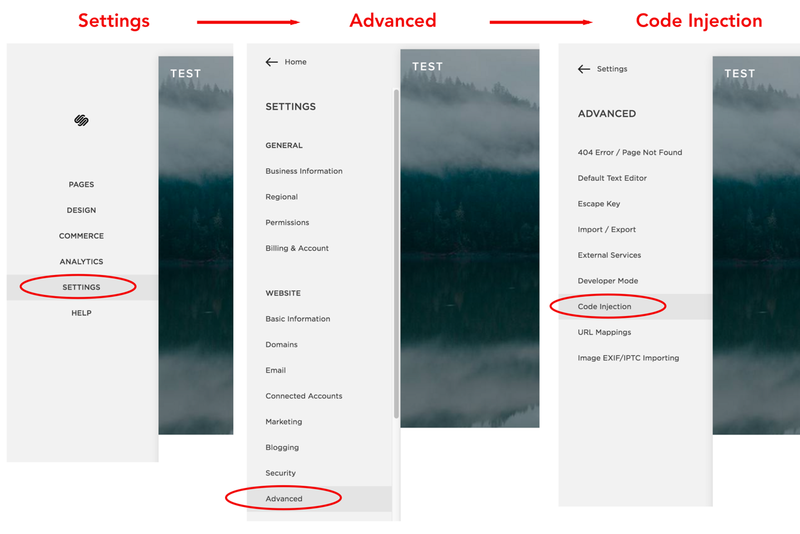 Save your settings on Squarespace. Open your site in a new tab and refresh the page a few times. This will trigger your first GoSquared pageview. Next we need to verify that GoSquared is receiving your data correctly. You can do this by running the Installation checker here. You're ready to go! GoSquared will now be tracking your Squarespace site in real-time. Squarespace is a powerful and beautiful website builder for designing and publishing websites. Squarespace's do-it-yourself tools make it possible for anyone to start building their own internet presence.